Esbilon thanks for the insight! I took your good sugestions to consideration as well as my personal feelings for the deck and my budget and altered as above. It's 64 cards now, I'm not happy about it but can't really trim it so I'd appreciate any suggestions on which cards to keep and which to discard. The sideboard is not a real sideboard but some cads like Armageddon and Soltari Visionary that I think are great and would probably use in Legacy. Pretty neat idea. One thing I like to take advantage of with double strike is capitalizing on effects that trigger every time a creature deals combat damage - which, with double strike, means twice with every attack. For instance, if your hit your opponent with a double striker equipped with Prying Blade , you'll get two treasure tokens out of the deal. That definitely sounds more attractive to me than the one extra power from Marauder's Axe! Likewise, a Beacon Hawk with double strike can untap two of your creatures. 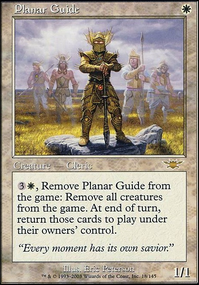 Soltari Visionary is a card I recommend to most white pauper decks, since he's virtually unblockable and can repeatedly take out your opponent's permanents for free. There are no shortage of enchantment-based decks in pauper, as your deck helps illustrate! You might also appreciate Cavalry Drillmaster , as +2 power and double strike for cheap can be a real surprise before you attack. All in all, I like the 'package' you've built here. I don't feel like cards that only have a single keyword add a significant value to the deck. 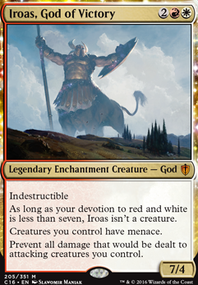 That means Adorned Pouncer, Brimaz, King of Oreskos, Silverblade Paladin, Loyal Unicorn, Odric, Master Tactician, Soltari Champion and Deftblade Elite. Out of those, the most value would come from the two 2-drops for an aggressive curve early game. I would probably add Mirran Crusader and Burnished Hart as well, and Soltari Visionary is also worth some consideration. 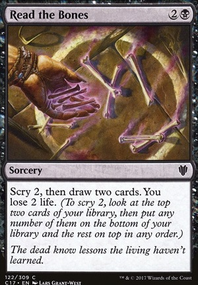 Collective Effort and Phyrexian Rebirth are both... pretty mediocre, in my opinion. Maybe swap those for Rout and Planar Cleansing (or maybe Unexpectedly Absent) instead? I also don't think the deck really NEEDS Tithe and could maybe play something along the lines of Mind's Eye or Surveyor's Scope if you really need the early ramp. 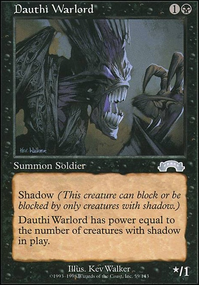 Oblation should maybe be Crush Contraband, since you're pretty good as far as creature removal goes. 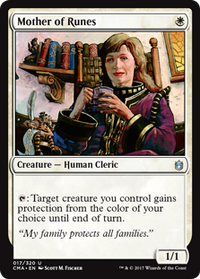 I would also highly recommend running Swiftfoot Boots, since Odric radiates both Haste and Hexproof and the former is especially valuable to you, imo. In your mana base, there's really no excuse NOT to play all of Strip Mine, Tectonic Edge and Ghost Quarter so you can handle something like Gaea's Cradle or Volrath's Stronghold. You might also want to run Scavenger Grounds so you can do something against graveyards. Maybe add Sentinel Totem or Relic of Progenitus to that list for some consistency. You could also possibly run the cycling lands for white for some extra carddraw (at least the cycling desert seems worth it so you can exile graveyards twice? ), but at some point you'll hurt your chances of activating Emeria. Definitely using this deck for my Alesha inspiration! Have you considered Pia and Kiran Nalaar over Ponyback Brigade to lower the curve a bit? 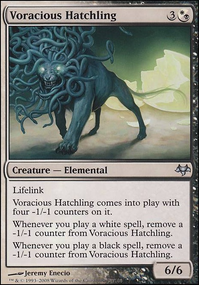 Also, Leonin Relic-Warder over Soltari Visionary or Duergar Hedge-Mage to pull the Fiend Hunter and Tidehollow Sculler trick on artifacts and enchantments? I noticed in your write up you mentioned you were considering Wrath of God or Merciless Eviction. Have you considered Retribution of the Meek or Austere Command? Both of these give you a little more flexibility over what dies. 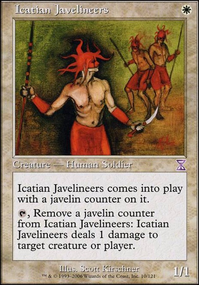 Also, i like tricky cards like Devout Harpist. This can be real headache for another voltrons. Soltari Visionary considering you have bunch of protection, this can be nice removal, that is reusable too. How about Standard Bearer instead of Coalition Honor Guard? 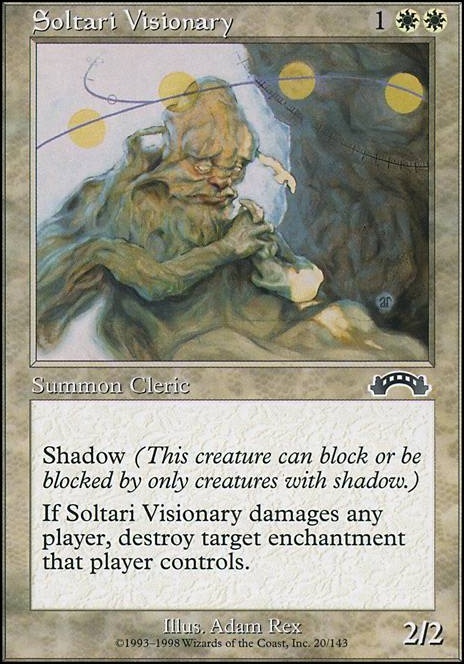 Soltari Visionary for enchantment destruction and a near-unblockable creature could be strong. Disenchant and Seal of Cleansing for more versatile removal against artifacts/enchantments. Mind Stone, Wayfarer's Bauble, and Thought Vessel are all common ramp artifacts that'll get you playing your commander quicker. Bonesplitter to pump your commander and swing in for easy commander damage could be sweet. 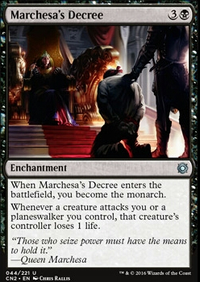 Arrest and Pacifism are pretty solid common removal. If you happen to run all these more enchantments, Ethereal Armor could be very strong.